By MADDIE CRIBBS-A small group of students from Indiana Senior High School has organized a bake sale for each Wednesday in November. Delicious baked goods, bracelets, and t-shirts will be sold to students of IHS after school at the SGA snack bar, all benefiting the Tree of Life victims and families. In grief and mourning, the Jewish community needs all the love and support IHS, as a whole, can provide. Every Wednesday of November, the small group of Indiana students will be hosting a sale consisting of baked goods–from a variety of cookies to brownies, bracelets that read “peace” in English and Hebrew and t-shirts that read “Stronger than Hate,” with the interpreted Pittsburgh Steelers symbol using the Star of David. At the SGA bar, students will have the option to write a letter to the families of the victims and show their love and support. On October 27, devastation hit the Jewish community as a gunman opened fire in the Tree of Life Congregation in Pittsburgh, killing 11 congregants and wounding six more. The gunman is facing 29 criminal counts and 30 state charges. The Jewish community in Pittsburgh is suffering one of the deadliest assaults against their community in United States history. With family members lost, the love they contain is not. “Buying bracelets will hopefully keep around constant awareness when people wear them. 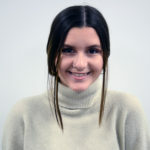 I thought about how close this is to us now and how serious the topic of shootings has been for a while, but things have yet to be done,” stated Junior Taylor Lang. This small group of 12 students is hoping to bring a change within our community and offer a small gesture of help and support to the synagogue. Being high school students, the group is doing their best to make a change within society and start a movement against gun violence. 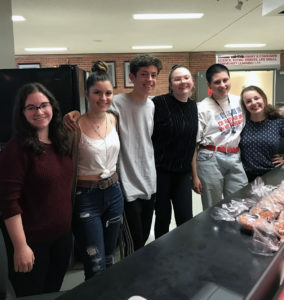 With the bake sale, the group hopes to reach around $1,000 to donate all proceeds to the victims and the families of the Tree of Life Synagogue. No matter how little or how big the event may be, a little help can cause a huge impact.